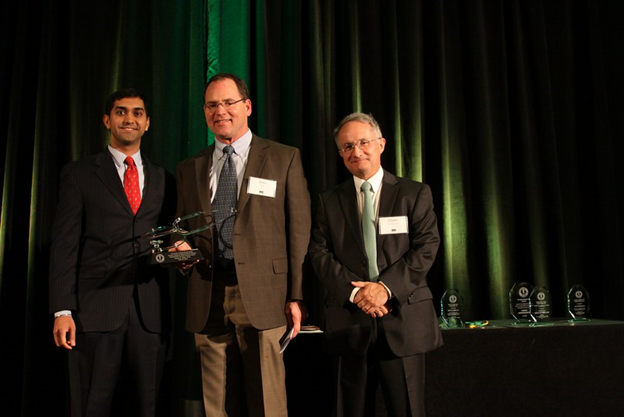 The USF Health Morsani College of Medicine Alumni Society honors its alumni with two major awards. The Distinguished Physician Alumni Award is the highest honor the USF Morsani College of Medicine Alumni Society bestows to acknowledge the personal, professional and community contributions of its alumni. It is presented in recognition of exemplary dedication to the profession of medicine, insightful contributions to the medical profession, tireless efforts to the community, and the graduate's continued professional and personal growth. It is presented at the Medicine Commencement Dinner each spring. The Outstanding Service Award is an honor bestowed by the USF Health Morsani College of Medicine Alumni Society on an MD graduate or an individual that has completed at least one year of graduate medical education at USF to acknowledge dedication to excellence in service within the profession of medicine and exceptional community engagement. It is presented at Medicine Alumni Weekend each fall.